You work to serve our country. We work to serve you. 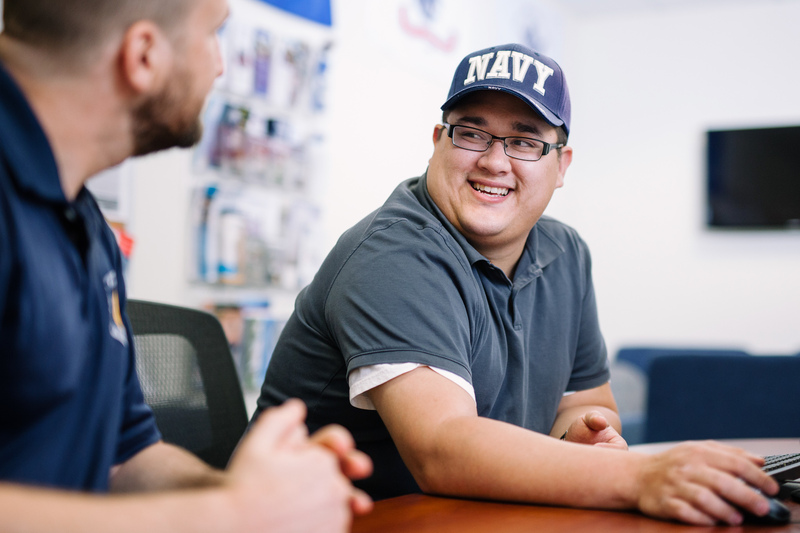 The degree programs at John F. Kennedy University can prepare you for today’s competitive workplace so you can excel in your military or civilian career. Our Yellow Ribbon status enables us to provide military and veteran students their education at little to no cost. Once admitted, our VALOR Center is your one-stop shop for guidance, referrals, and community support. We look forward to having you! Consult this page for admissions information and benefits specific to military/veteran applicants. When you are ready to apply, please visit the admissions page specific to your program of choice for information about the full application process, or contact an admissions counselor for assistance. The first step to applying is filling out our online application appropriate to your program of choice. Please note: Military/Veteran students will have the opportunity to self-identify as such in the application process. This identification is necessary to gain access to military/veteran-specific financial aid and academic benefits. JFKU is an approved participant in the U.S. Department of Veterans Affairs Yellow Ribbon program, meaning individuals who qualify for the post-9/11 GI Bill® can receive their education at JFK University for little or no cost. Please use the related links at the top of this page to assess what military/veteran financial aid for which you may qualify. Upon admission to your program of choice, a representative from our VALOR Center will reach out to assist you with completing all additional paperwork for military/veteran enrollment. So you can just sit back and relax. We’ll be in touch with you! Please see the other admissions pages for requirements for the type of program for which you are applying.